Which do you thing this is? Guessing I need to go get it a new mate. 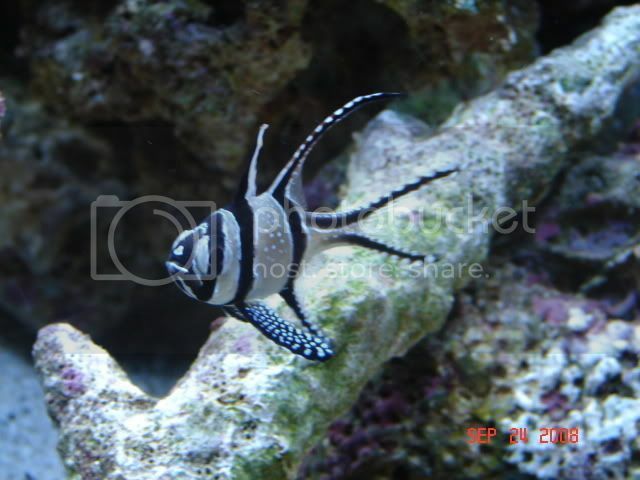 Sorry, sexing Banggai Cardinals is not easy and I cannot tell for sure from that photo. Some people claim you can tell by the shape of the jaw or the dorsal fin, but really the only reliable method is by allowing them to pair up naturally in a controlled environment. If they fight, they are both males.